Homemade candles are budget-friendly Christmas gifts, but save even more money by using household containers as candle molds. Free candle molds are everywhere in your house, if you know where to look. For starters, open your kitchen cupboard. Unique jars, glasses, coffee cups, or salad bowls all make interesting candle containers, where you don’t remove the finished candle from the item. Look inside your trashcan. 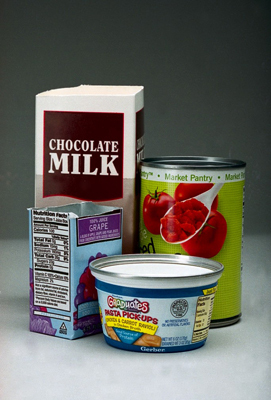 Empty milk cartons cut in half, yogurt containers, and even empty tin cans provide fodder for your hobby. Use existing items as your candle molds. In some cases, you can use a glass jar to mold your candle because these jars are usually designed to hold food that you’re canning. However, you should use them only as container candles and not as a mold because the neck at the top of the jar will cause you problems when you try to remove the candle. Don’t be tempted to use a normal drinking glass, which doesn’t have the neck, though, as a mold because they’re usually not tempered like jars and probably won’t be able to withstand the heat of the melted wax. Unique objects provide lovely containers for your candles and are inexpensive to create. You can even match the colors to your decor, as well as scent the wax with your favorite fragrance. Decorative containers make great container candles. Even when you’re making container candles, you use a mold. The container is functioning as the mold, holding the wax in place; the only difference is that you don’t remove your finished candle from your mold. It stays in the container as you burn it. You just need to make sure that the mold you’re using isn’t flammable and that it’s heat-resistant. If your kitchen is decorated in flowers or an outdoor gardening theme, why not use terracotta flowerpots as container candles? Hurricane vases, lantern-shape containers, or metal buckets can add a nice touch as well. You may even want to add a citronella scent outdoors to keep the bugs away. 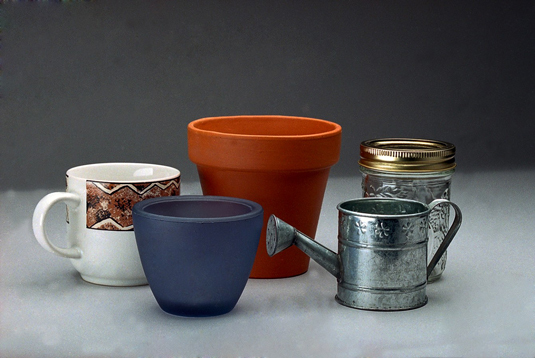 If you’re using terracotta flowerpots or metal containers, you may want to seal them with a silicone sealer before pouring wax into them to prevent fire hazards or leaks. Think about where you want to use the candle and what you’re trying to accomplish. For example, some people like to take baths surrounded by burning candles. For them you might use a scented candles. Or you might want to give apple-cinnamon tealights for someone’s my kitchen. The aroma of a home-baked apple pie gives a homey feel to guests when they enter the house. The container you choose functions as your mold. As a result, you need to make sure that your container is appropriate for holding hot, burning wax. For example, a plastic or wood container is a definite no-no.